How do we practice the wisdom of "love thy neighbour" unless we are willing to remove the barriers between us and the neighbours and first of those barriers are lack of understanding and lack of knowing. How do we appreciate the Divine Will that "Allah created humanity in many nations and communities so that they may know each other" without making an effort to know each other? Watching well made movies on other spiritual path / religion / way of life is one of the best way to appreciate diversity of religion and spirituality of our common humanity. By "other" here I mean, other than one's own familiar spiritual / religious path. When watched with a keen eye and an attitude that is willing to appreciate with compassion and loving understanding of the other - this even can be a good spiritual action as well. And that attitude comes from realizing that within every community there were souls in whom there is this spark, aspirations to move towards the Light, to embody noble teachings and to live according to a heightened awareness- and that expression is capable to expressing itself in every spiritual path, in every age. It is also very rewarding in the here and now because such movies inspire one to a space from where one's own spiritual path, if practiced and alive within one's own heartscape - can be perceived more vividly, appreciation deepens and aspirations rise. 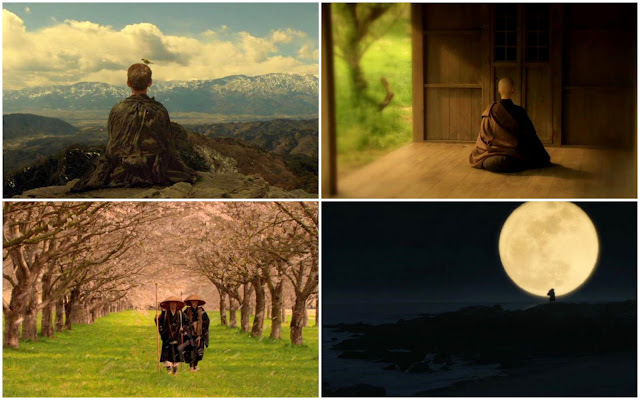 I love movies made on Zen / Buddhist themes. For sometime now I was trying to find well made movies on Buddhist theme. In the process I discovered a number of good movies (a list of tasteful and favorite Buddhist movies is provided at end of this post). 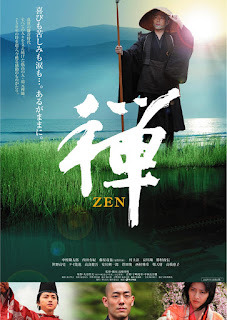 Last night I watched a movie called ZEN (released in 2009), which is based on the life of Dōgen Zenji (19 January 1200 – 22 September 1253) the prominent Japanese Zen Buddhist teacher and the founder of the Sōtō school of Zen Buddhism. Dogen's life is quite interesting, so was his quest for spiritual truth. At the age of 17, he was formally ordained as a Buddhist monk. He became possessed by a single question, about which he later described: ".. As I study both the exoteric and the esoteric schools of Buddhism, they maintain that human beings are endowed with Dharma-nature by birth. If this is the case, why did the Buddhas of all ages - undoubtedly in possession of enlightenment - find it necessary to seek enlightenment and engage in spiritual practice?" He was also living in a time when Buddhism in Far East, specially in Japan reached a very low point. Teachings of Buddha became very clouded and various sects were struggling with internal politics as well as fighting with each other over the true teachings of Buddhism. Considering the Japanese Buddhism of the time to be corrupt and influenced by secular power struggles, Dogen traveled to China to discover the heart of the Dharma by studying Ch'an (Zen) Buddhism at several ancient monasteries. In 1223, Dogen undertook the dangerous passage across the East China Sea to China. The movie almost begin from his journey into the heartland of China. Master Dogen was a talented writer and poet. Here are some of his poems written in Japanese, now available in translation. You may read some via Poetry Chaikhana. The core of Dogen's teaching was to transcend the mind's addiction to language and form in order to become fully present and recognize one's inherent enlightenment. Directed by Takahashi Banmei, the film Zen provides an elegant and fascinating look both into the life and times of this 13th-century monk. Offering a fairly faithful depiction of what is known of the monk's life, the film follows Dogen, handsomely portrayed by kabuki actor Nakamura Kantaro, from an orphan child inspired by his mother's dying words to a young monk wandering in China where he experiences his awakening. After reaching enlightenment, he returns to Kyoto to spread his teachings of silent meditation, attracting both dedicated followers and fierce detractors who cast him as a heretic. In his travels and teachings, Dogen encounters many different people. Some guide him, some follow him, and some test him, but all become crucial figures in his spiritual journey of peace and meditation. Zen's supporting cast includes Kora Kengo as a young monk gone astray, Uchida Yuki as a prostitute and aspiring nun, and Fujiwara Tatsuya as the shogun haunted by inner ghosts (mental / psychic attacks). The movie has some wonderful cinematographic work, depicting the beautiful landscape and scenario of Far East. Also the teachings of Dogen, his process of enlightenment and his teachings to his fellow monks are to be found all across the movie. To study the Way is to study the self. To study the self is to forget the self. To forget the self is to be enlightened by all things of the universe. To be enlightened by all things of the universe is to cast off the body and mind of the self as well as those of others. Even the traces of enlightenment are wiped out. First, be free from desire. - each of Buddha's disciples learned these eight means of enlightenment. The movie from the Sufi point of view reminds a lot of similarities of the two spiritual currents, Sufism and Zen Buddhism. Both have a lineage which is passed down, an unbroken chain of transmission from the original Master to the present time. 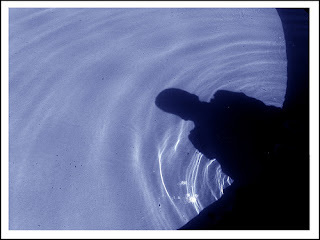 Piercing beyond the apparent, if one wishes to look at the commonality, one can see that in both Zen and Sufism the training of the novice / disciples happen through the close connection with the Master. Disciplines are emphasized aiming at the purity of mind and heart. Obedience of one's Master is a must in both Path. Practice of compassion and service to the world is seen integral to the spiritual practice. In the time of life, there is none other than life. In the time of death, there is none other than death. Those who are familiar with Sufi Teachings and specially Divine Attributes (noteworthy here are three names of Reality, al-Hayy: The Ever Living and Life Itself: Muhyî, Mumît: The Giver of Death, The Death Itself) and and understand that Zen doesn't talk about the Transcendence / The Reality itself because it is beyond the language - they can hopefully relate the value of this teaching that ultimately speak of the same and one Mystical Reality. There is a wonderful scene of the movie at the end. This is my favorite which comes almost towards the last scenes of the movie where the nun teaches Zazen to young children. During the meditation practice the Buddhist nun instructs the kids: "You hold Buddha in your hands. Buddha lives in your hands. So let us hold him close and protect him." Its raining outside and they are sitting at the porch of a small hut facing the beautiful rain outside. All the child is sitting in perfect Zazen position with palms resting in a certain way, thumbs of two hands touching each other. Only one of the girl is placing her hands over her lap in way different than others. The nun goes up to her and says,"Hold your hands like this, not like that, but like this." I hope you will enjoy the movie and appreciate spiritual heritage of Buddhism, specially its Mystical component: Zen and the beauty of sincerity in which it was preserved and passed down. As ignorance remains to be the biggest enemy when it comes to understanding faith, religion and spirituality of various member of humanity, hopefully the language of cinema remains a hopeful and effective tool to reduce that ignorance and to know "the other". * Why Buddha is Special? * Is there God in Buddhism? + Amongst White Clouds: Documentary about Buddhist hermit traditions in the chinese woods. What's your favorite movie / documentary based on Buddhism /Zen theme?